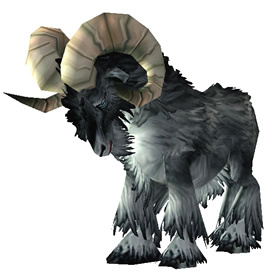 Can be found on hillsides and ridges, but are more prevalent in the south eastern hills, near The Farstrider Lodge. It can only be found during the day. Encountered a few of the "H/S ghost breeds" that turned into B/B while farming the area, ended up snagging a rare B/B that turned into a P/B when I checked my pet journal! Needless to say, I was pleasantly surprised! I am either very unlucky or the P/B version is very rare. I did somewhere in the neighborhood of 100 pet battles while leveling level 1 pets to level 3 in preparation to power leveling them. During that time I saw 6 H/S pets 4 of which I captured and they immediately turned into B/B pets. I accidentally killed the other two. I saw two P/B pets (neither rare) and I captured one and accidentally whacked the other. I'll stone the one I captured to the rare variety. I battled against 12 of the rams and was delighted to pocket 3 rares. The odd thing is that all 12 of the rams were B/B, not one P/S! I've found on my own more than one H/S breed in addition to what's listed here and elsewhere. The odd bit is that it changed into B/B once captured. Found a rare in loch modan on a mountain top, first battle. Found a rare on my second day of trying, about fourth or fifth battle. Currently my headliner for all Rival battles. I love him to pieces. Taming all the pets with headbutt now. Yay! Caught an Uncommon quality north of Silver Stream Mine on one of the lower mountain ridges. It was about 5:20pm EST on Moon Guard, server time was 6:20pm. I ran into the problem on a previous attempt that the pet was stuck in the tree and I couldn't fight it. It's so very frustrating. Good luck to those out trying to find one! 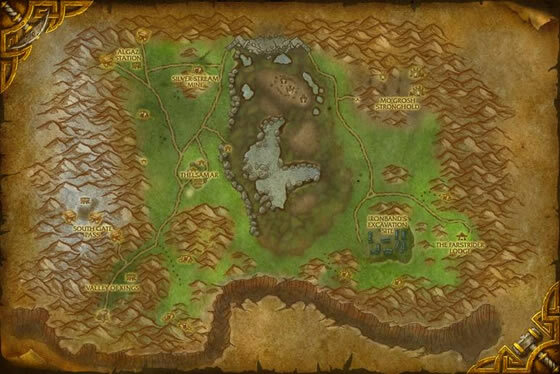 North-west of Mo'grosh Stronghold on the mountainside. First encounter was a rare! Found it at 6pm server time. Camped out in Gnomergan last night waiting to get an irradiated roach, logged in after servers came back up after maintenance and flew over to the Loch and YAY... first ram I snag is a rare. Wooohooo! Such a cute little fella. I have been trying to get a rare Little Black Ram for two days now. In total, I think I've battled at least 40-50 of these guys while flying large circles around Lock Modan. Here's to hoping that I get one soon because it's driving me nuts! Obstructed. Obstructed. Obstructed. Seriously. They need to fix this. Before I read the coments here I was flying past every night (since I play mostly at night) to check for these guys...but no chance. After I read they spawn only during the day I managed to get there in the morning and they were quite easy to find flying over a one third of the mountains of the border i got 2 in positions i couldn't fight and 3 I did fight: first got a poor with a rare frog so i got the frog, then a poor that i took, then a comon and finally a rare! This is one of the many reasons I like this site. After about 30 minutes of flying around and not seeing a single Little Black Ram, I decided to come here to research. At first I thought the squirrels of Loch Modan had developed an appetite for them. >8( Then I learned they only show up during the day. Thanks again for your help! Over an hour and a half of engaging and checking all Little Black Rams for a rare finally proved worthwhile. Got mine at 70,79. I searched from 10pm ST to 11:30pm and the rams were plentiful. By the time I finished a full circuit around the zone, the starting area ones had respawned. I used "/tar little" to engage the ones in trees when I could and when I couldn't engage them or the ones in tiny valleys, I killed them to make them respawn. Also saw 2 rare roaches along the way. ok what they said about daylight hours in previous posts was sooo true. for two nights i killed and battled everything hoping they would spawn but none. i logged on about 1pm and bang, they were everywhere. took me about 6 to get a rare but there were plenty. and yes, they were all on rocks and some were tricky to battle due to obstructed areas but i found that if you move around and keep trying on the same one, often you will find a spot that is not obstructed. I found a fair few of these along the mountains bordering Loch Modan. The trouble I had though, was that most of them were stuck in rocks, trees, wall and those not stuck were on the edge of cliffs and mountains but were obstructed, so this one needs to be fixed. Edit: By killing those that are stuck, they can spawn in better, less obstucted places. These rams hone their fighting skills by head-butting twigs and saplings near Loch Modan.